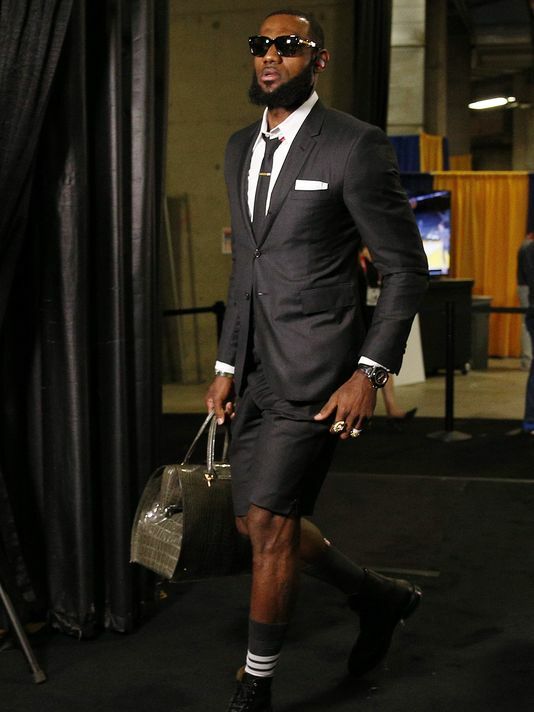 LeBron James arrived for Game 1 against the Warriors in a suit with calf-exposing shorts. Yet it's JR Smith who'll be remembered for cutting the Cavs off at the knees. Two jokes out of one situation. Very good, RJ. Thank you kindly, Chad. That was a soul-crushing brain cramp by Mr. Smith. Very clever, RJ. Nicely done.